As I'm sure you know by now (because I've been obnoxiously posting about it! ), the Southern Blog Society conference was this past weekend in Atlanta. I've been planning for this trip for several months and it's so hard to believe that it has already come and gone. As always, I love getting to be around bloggers and the ones I've met through SBS are nothing short of amazing. It's such a diverse group of women that keeps me inspired and pushing forward with my blog. This year's event was very different from last year and I'm excited to share a full recap with lots of details when I come back from vacation. 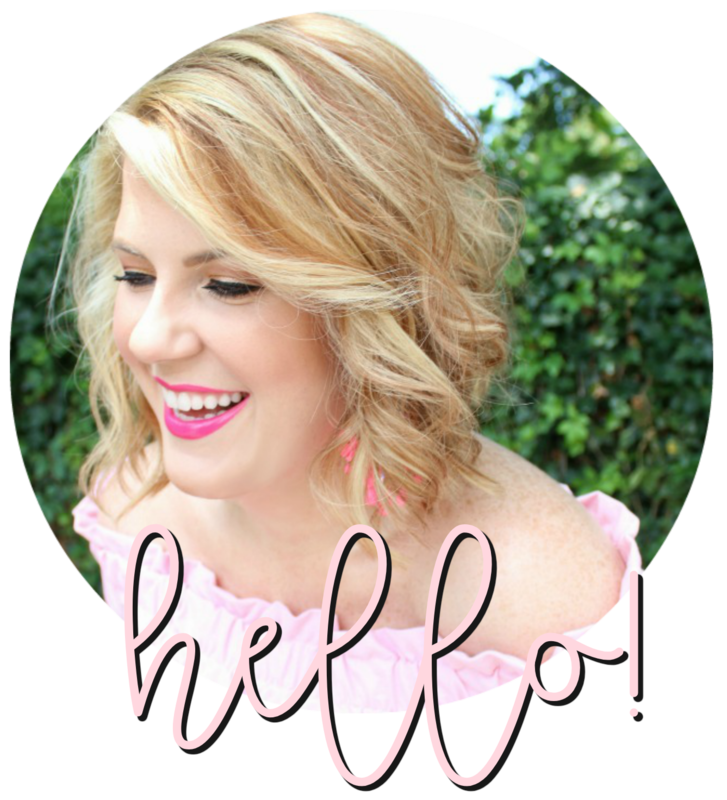 I want to tell you all about the speakers, where we ate, what we talked about, my new blogger crushes and share the details of the incredible items in our swag bags - you simply won't believe it! Until then, this is what I wore for Saturday's event. 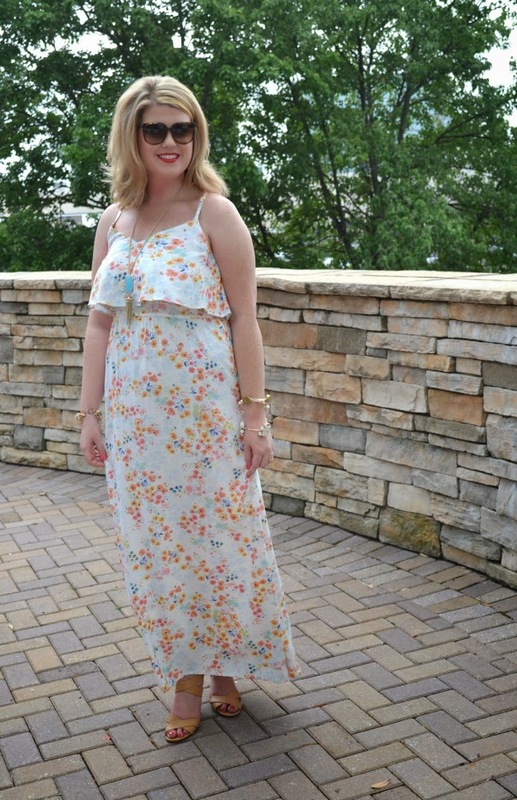 A simple, easy maxi dress that made it all the way through the day and helped me survive the Atlanta heat and humidity. Happy Wednesday from the beach, folks! Such a pretty dress! The SBS conference looked like so much fun! Love that dress. I'm so into that extra ruffle/flounce the maxi dresses, bathing suits and tops are sporting right now! Hey hey pretty lady! 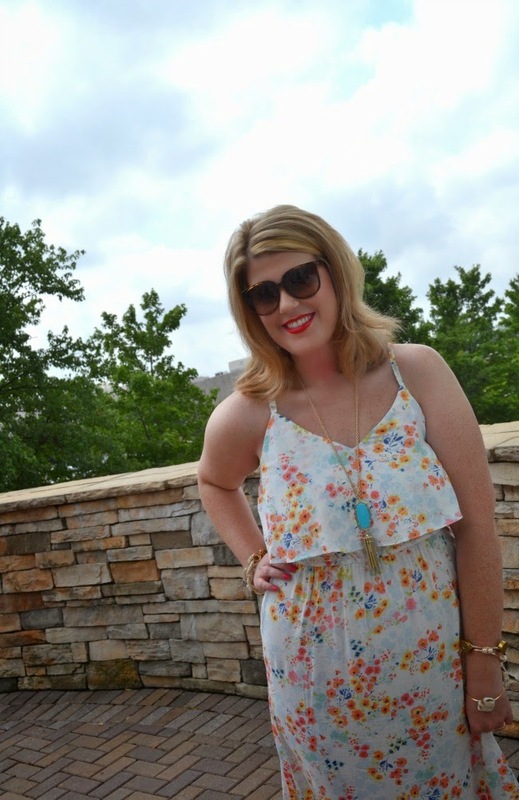 Loved this flirty print on you! This is such a pretty dress on you! Loved following the SBS conversation via Twitter. It looked like fun! Such a cute dress! You look wonderful!